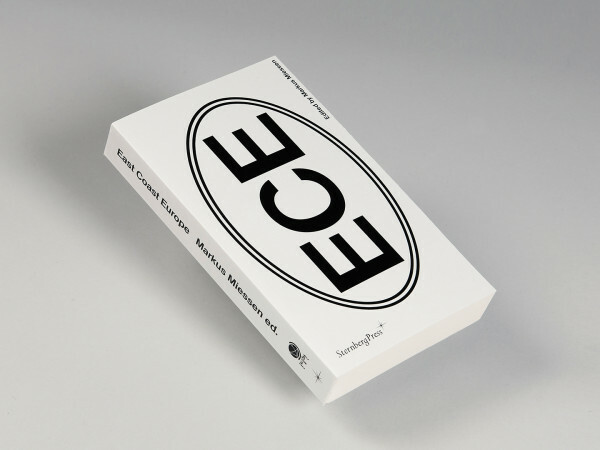 East Coast Europe, which took place during Spring 2008 at the New School in New York, is a project about the perceptions of contemporary European identity and its relation to spatial practices and international politics. 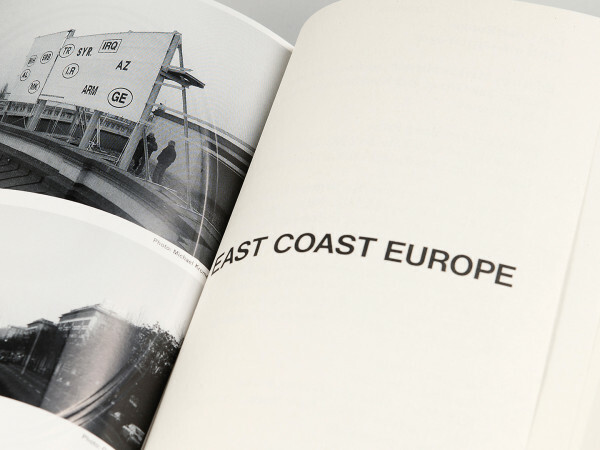 "Europe" in the title is the central topic for investigation, its contemporary culture, expansion and its status as a continuing social project. 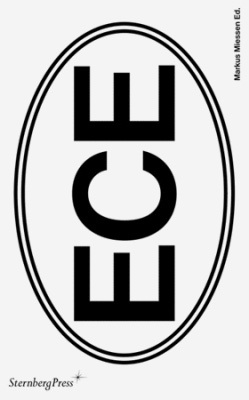 "East Coast" refers to two distinct edges of Europe, both real and imaginary-the geographical East Coast of the USA and the political "East Coast" of the EU. 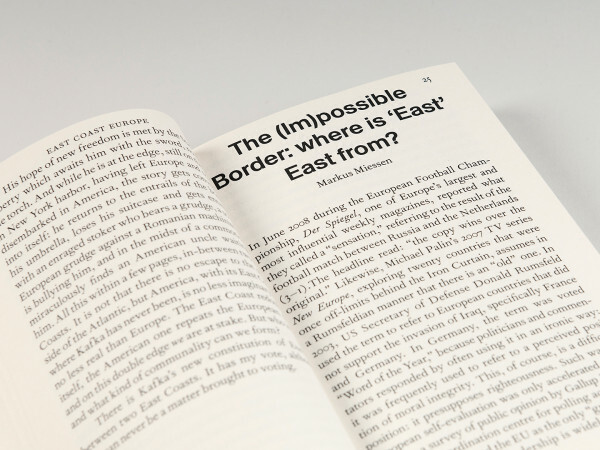 The book details a dense network of contemporary experience of the EU's extensive exchange of knowledge, people, and goods with the US and also with its own eastern border. Contributions by: Shamim Momin, Taryn Simon, Marina Abramovic, Orchard, Kazys Varnelis, Lisa Farjam, Jordan Wolfson, Sislej Xhafa, Nedko Solakov, et al.